Closed system catheters are the preferred cathing system for people who use wheelchairs, pediatric patients, and many others. Closed system catheters offer privacy and convenience options that straight catheters do not. This catheter type also allows secure, discreet catheterization whether in a restroom, private room, or even in your vehicle. Most closed system catheters have an added safety feature called an introducer or insertion tip. The introducer tip allows the pre-lubricated catheter to bypass the highest concentrations of bacteria located in the first few millimeters of the urethra, significantly reducing the risk of infection. Collection chambers allow the user to measure output and monitor hydration levels. We also carry closed system catheter kits designed to aid those with limited hand dexterity. 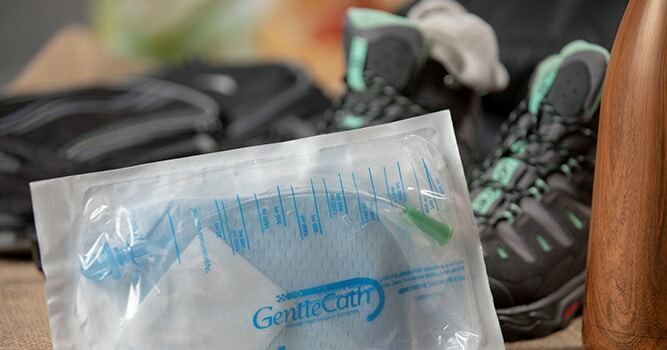 When you order catheters from 180 Medical, your satisfaction is guaranteed. We deliver superior service and we stand behind it. If you are a catheter user but have never discussed your ideal choices for catheters with someone, please give us a call at 1-877-688-2729. Your health is too important to risk not using the right catheter product. Read how our Founder’s life was turned around by using closed system catheters.